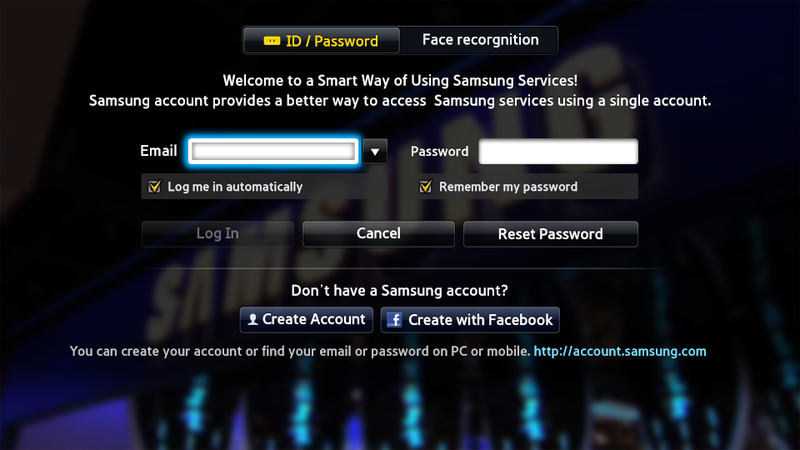 Samsung Smart Hub provides an integrated login feature for applications that offer personalized menus and features when logged in. The integrated login links several service IDs and passwords to one representative account and enables a user to log in to all services with just one login. This UI is provided by the system, so doesn't need to be developed separately. 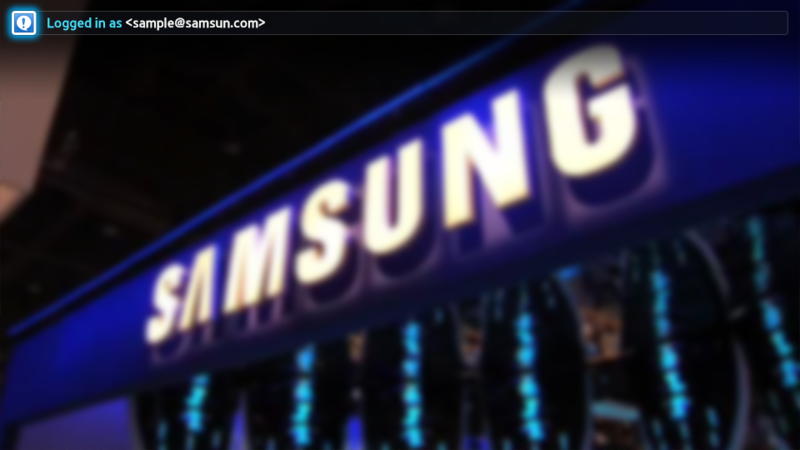 The icon is displayed when logged into Samsung Account. The user can manage the user's Samsung Account through the status bar or the menu. When the account status icon in the status bar at the top of the screen is clicked, an account management function popup is provided. 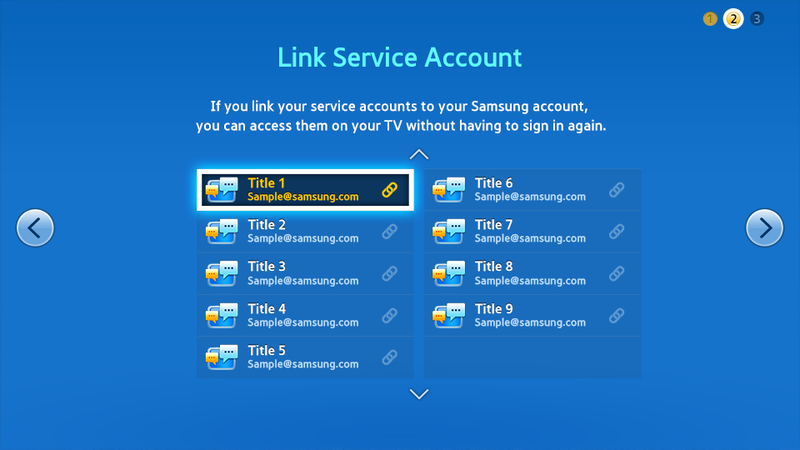 By linking the service accounts for applications to Samsung Account, the user can use the linked applications just by logging into Samsung Account. 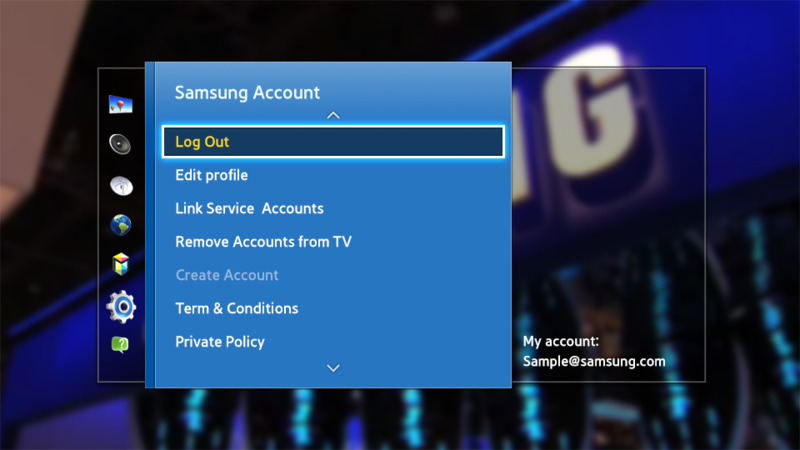 Service accounts can be linked to Samsung Account in the Edit Profile stage when creating a Samsung Account (Figure 5-6). 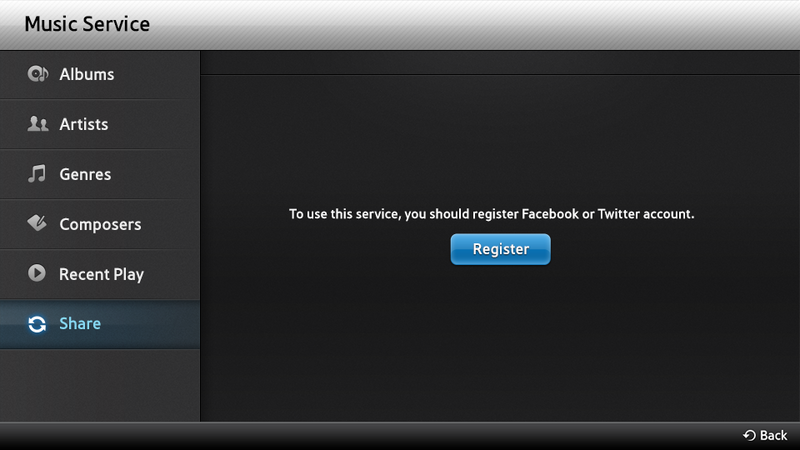 The user can also enter the Linked Service Account screen from the status bar or the menu (Figure 5-7). Displays the applications currently installed on the TV that use the integrated login feature. The service account information of each application can be managed, and a shortcut to the sign-up page is provided for some applications. If you intend to implement an application or function which requires login, instructions are generally provided. Notify the user that they must log in to Smart Hub and register the service accounts and tell them where they can create a Smart Hub account. 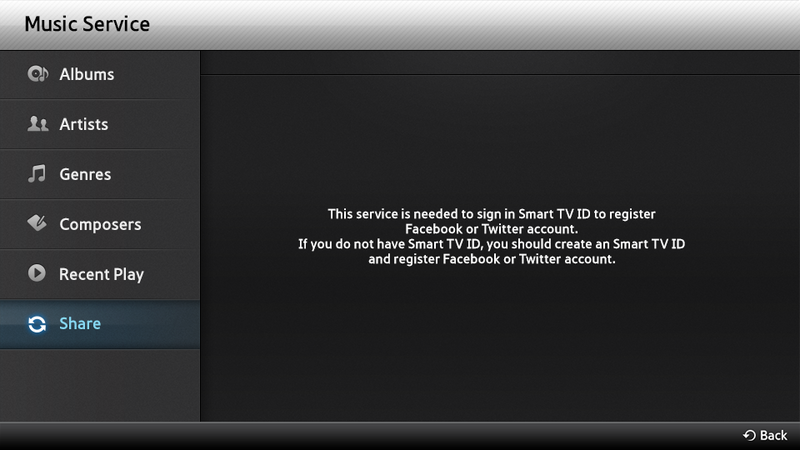 Notify the user that the application or service site they are trying to use is not linked to the Smart TV account and tell them where they can go to link the service account. Inform the user that they must log in to their Smart Hub account and register the service site accounts, as in Figure 5-11 or Figure 5-12, and tell them where they can go to create a Smart Hub account or link a service site account, depending on the status.